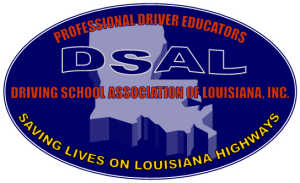 Bass Driving School – "PRODUCING THE BEST DRIVERS IN LOUISIANA"
"PRODUCING THE BEST DRIVERS IN LOUISIANA"
Bass Driving School is an excellent, licensed, well-established driving school in a safe, clean neighborhood. It is owned by Christians who are retired educators. We would love to help you become an even more competent, confident, and caring driver. Contact us today at 318.687.7034 or drlrbass23@gmail.com. You may register and pay online. Simply go to bassdrivingschool.com. IMPORTANT INFORMATION—THE LOUISIANA OFFICE OF MOTOR VEHICLES IS REQUIRING THAT ANYONE SEEKING A PERMIT, INTERMEDIATE LICENSE, OR DRIVER’S LICENSE FOR THE FIRST TIME MUST GO TO THE OFFICE OF MOTOR VEHICLES TO GET A TEMPORARY INSTRUCTION PERMIT (TIP) CARD BEFORE TAKING THE DRIVER’S EDUCATION COURSE. Every student must take the following to the OMV to obtain the TIP Card: 1) Original birth certificate, 2) Original Social Security Card, 3) About $40, 4) Two (2) proofs of residency such as a copy of your electricity bill, water bill, natural gas bill. IN ADDITION, all students taking the 38 hour course must also take the following to the OMV to obtain a TIP Card: 1) Proof of School Attendance form from your principal, 2) Original or court certified custody papers (if there are any), and 3) Legal custodial/domiciliary parent/guardian with their Driver’s License or State ID Card. NOTE: Bass Driving School, LLC does NOT offer refunds. Students must attend the class for which they have registered. We do not allow students to transfer from one class to another. Welcome to Bass Driving School, LLC located in Shreveport, LA and serving Northwest Louisiana. Coach Bass has been in the driver’s education business for over 21 years, and Dr. Linda Ruth Bass has been a certified teacher, principal, and superintendent of schools for over 43 years. Emily Bass Nycum is a Louisiana State certified instructor with a degree in Journalism/Public Relations and a talent for communicating with students of all ages. We make a great team to help each student to become more confident, competent, and caring drivers from the age of 15 years and up. Our world-class curriculum, certified/experienced instructors, and top-notch behind-the-wheel driving experience make us the driving school of choice. 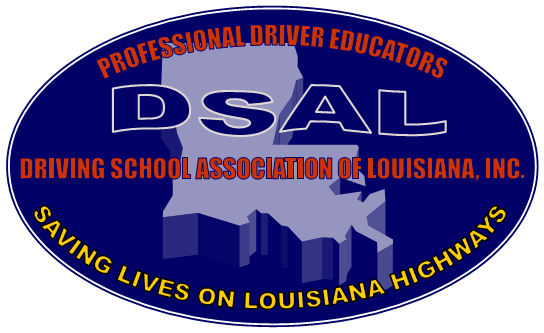 Louisiana law mandates that each student 15-17 years of age take the 38 Hour Basic Driving Course in order to get a driver’s permit/ license. We offer this course as well as the state-mandated 14 Hour Pre-licensing Course for those 18 years of age and older. We are also a Louisiana Certified Road Skills Tester, which means you take your driving test with us rather than the DMV (new state law). Not one–but three– of our instructors are certified to administer the Road Skills Test. We usually schedule your test immediately following your 4th driving session. Preparing students to be more competent, confident, and caring drivers on today’s challenging roadways is our mission. We are dedicated to having zero deaths on Louisiana’s roadways. We would love to help you in your driving education needs. Please see our schedule of classes on this website. For your convenience, you can register and pay online. CONTACT US TODAY at 318.687.7034.